Sapporo Ramen in Cambridge is one of the first places I tried store made ramen, back in 2008. 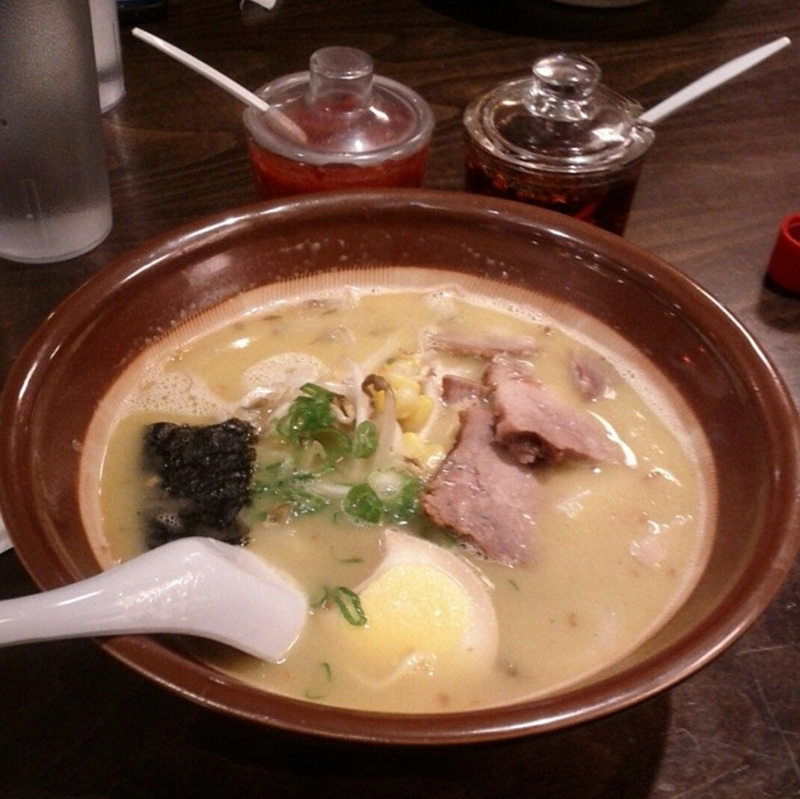 This is one of the first ramen slurp shops in the area. It is a very small ramenya located in the food court of the Shops at Porter Square at Lesley University. It is right behind Cafe Mami. The decor is simple, minimal and very Japanese. The space only seats eighteen customers so you may feel overcrowded. During peak dining times and even before Sapporo opens, you are required to stand in a queue. If you aren’t, the waitress will be sure to let you know as she can be brusque, almost to the point of rude. Please note that they are cash only. The menu is limited to several styles of ramen, curry-don, katsu, karaage, cold noodles and other basic Japanese dishes such as fried rice and crab omelette. The variety of ramen offered is pretty amazing. They all use a chicken and vegetable broth that has simmered over ten hours according to their signage. 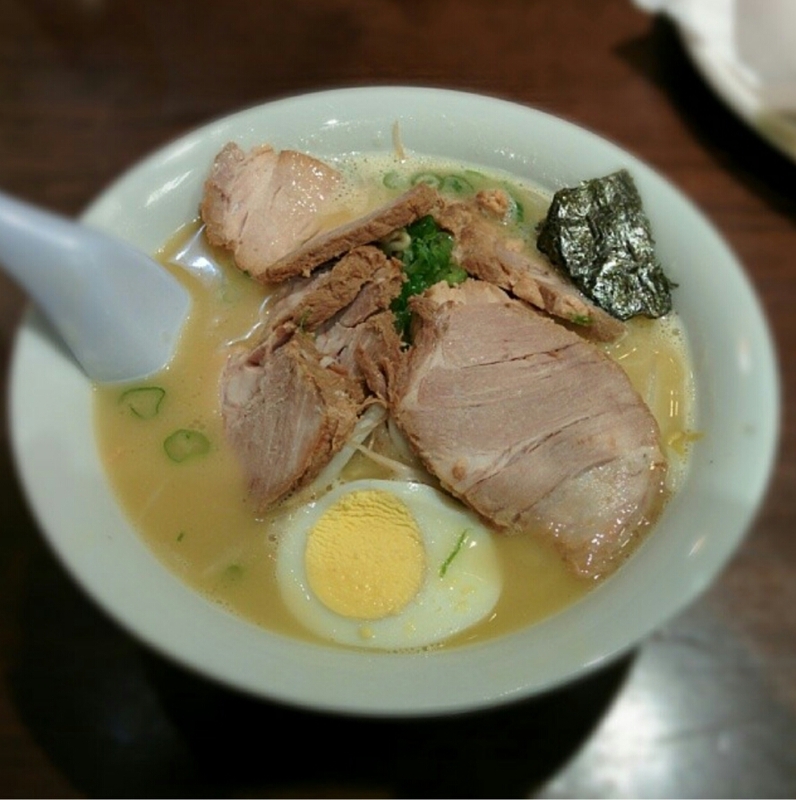 You can choose from- house ramen, miso ramen, spicy miso ramen, shoyu ramen, tantan men or sesame flavored ramen, kimchi ramen, curry ramen, yasai ramen or vegetable ramen. They use yellow wavy noodles. For your ramen you can add on extra noodles, double noodles, extra roast pork, ground pork, extra vegetables, extra seaweed extra corn, extra tofu, or a butter cube. I tried the house ramen on both my recent visits. The sliced roast pork that came with my first bowl was very lean and dry with very little to no fat. I wished that they gave you more than two to three thin slices. My second bowl was pretty much the same only I had ordered extra pork. I prefer my roast pork to have a good balance of lean meat and rich fat. The golden chicken and vegetable based broth lacked complexity and flavor for a broth that was simmered for ten hours or more but it was definitely creamy. The noodles used were a medium-thin wavy yellow type that was springy and close to al dente. Not quite toothsome but definitely not overcooked either. I feel the portion size of this ramen is generous as I never finish it and have almost half left. One of the most disappointing things about Sapporo’s ramen is that you always get a half hard boiled egg. I adore soft boiled eggs that have runny yolks. The pictures on their menu shows the half eggs properly soft boiled but they clearly don’t make them that way here. My gut reaction to Sapporo’s ramen is it’s alright or meh. Not great or smashingly good, but not bad either. I like it, but I am definitely not head over heels in love with it. It’s okay for a quick ramen fix but there’s better places to have ramen if you’re willing to travel around Boston or wait in line. The prices are cheap but the quality definitely needs to improve before I decide to spend my time in a long queue waiting to be seated if I feel it’s just alright. It’s very over hyped and folks the need for a local ramenya. I’ve heard good things about their sesame flavored tantan men and I want to return to try it when I get the chance.